The guest can cancel for FREE within 24hours after reservation. The guest can cancel free of charge until 42 days before arrival. The guest will be charged the total price if they cancel in the 42 days before arrival. The guest can change the reservation free of charge until 42 days before arrival. Amendment in the 42 days before arrival will be charged. Decrease of guests numbers & days of stay will be seen as cancel. ・ email to hostelginkakuji@gmail.com or call +81752053886. ・If guest has already paid in advance and canceled within the period of free cancellation, total amount will be refunded. ・ your credit card is needed for reservation guarantee, pre-authorization/charging of the total price will be executed right after your reservation. After card validation the total amount will be released after we collect your payment upon check-in. (Due to International transaction guests will not see the refund after +10days). For guest who want to set the payment in advance, please ask us, we will charge your card online and send you a receipt. Extra handling fee 4% will be added if guest choose Credit Card payment upon your arrival. The price included consumption/sales tax 8%. After 2018 Oct. lodging tax 200yen/guest/night will be applicable. Lodging Tax will be charged separately. ・ Early Check-in and Late Check-out is NOT accepted. ・ 21:00PM-24:00AM Late Check-in fee will be applicable ¥500/per guest. Pursuant with the Kyoto Accommodation Tax, a charge of Accommodation tax per person per night Accommodation Tax will be levied on tourist(s) and non-resident guest(s). Accommodation Tax will be collected at check-in and is payable by cash. 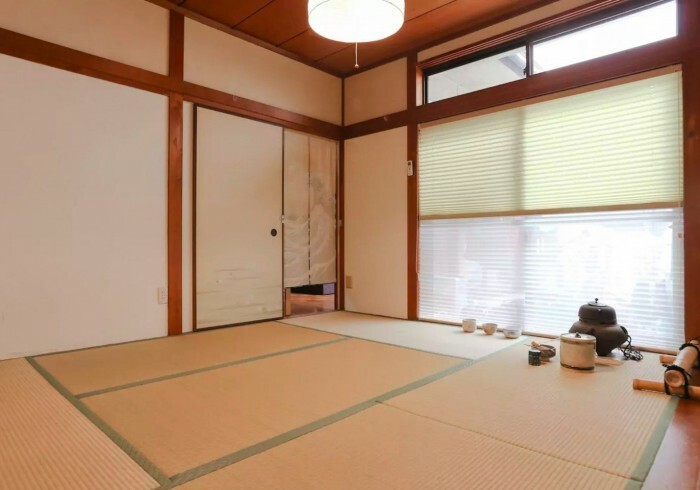 Kyoto Accommodation Tax is excluded from room rates. *The imposition of Kyoto Accommodation Tax shall commence on 1st October 2018. Minors are not permitted to stay without parental or guardian consent. Minors guests must provide parents or guardian consent. Our hostel is 2 floors house with only stairs. There is no elevator available. Please inquire us in advance to arrange guest room on the first floor if you have senior, disable or infant guest. Guests are liable for any damage howsoever caused to the allocated room(s) or to the property premises or property caused by guests or any persons in your party (whether or not staying at the property) during your stay. HOSTEL GINKAKUJI reserves the right to retain your credit card and/or debit card details and charge or debit such amounts as it shall in its sole discretion deem fit on the said card(s) to compensate or make good the loss, damage, costs or expenses incurred or suffered by HOSTEL GINKAKUJI as a result of the aforesaid. Regardless, HOSTEL GINKAKUJI further reserves the right to commence legal proceedings against you without notice. Public parking is available at a location nearby(30m) (reservation is not needed) and costs JPY 900 per day. All disputes resolution or problems should be conducted in Japan judicial system. Hostel Ginkakuji's liability under this agreement shall be excused if such non-performance is due to: labor difficulties; riots; strikes; governmental orders; epidemics; acts of civil or military authority; war; terrorism, compliance with laws, rules, and regulations and codes adopted after the date of this Agreement; acts of God; civil commotion; or acts of nature for the period of time that such force majeure condition exists. Credit card advance payment is must except for the guests who don't have a credit card. For those guests please fill the form "クレジットカード免除及び予約ポリシー同意書 | Waive of Credit Card and Cancel Policy Agreement"
After confirm your cancellation, you will be charged by credit card you register on our website or third-party's website. Please be noted we will charge the cancellation cost according to our cancellation policy from your credit card. 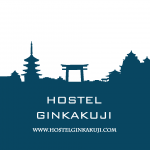 Hostel Ginkakuji is a homey and family-friendly international share house. 5 minutes walk to Philosopher's path and Ginkakuji temple. 10 minutes walk to Kyoto university where has many cheap restaurants and bar nearby. We provide a minimum space and best deal price for budget travelers! Tatami rooms and mix-gender dormitory rooms are equipped with air conditioner and shared bathroom.